Uputronics filtered preamps for improved reception on 159-163 Mhz. The LNA used is a MiniCircuits PSA4-5043+ which provides at least 20dB of gain. To stop out of band intermodulation a 161Mhz SAW bandpass filter, which has a 7.6MHz bandwidth is also present. The insertion loss of this filter is approximately 1.4dB, which does increase the overall noise figure of the unit to 0.75dB. Connectors are SMA female both sides. The Software Defined Radio revolution brought great flexibility in VHF and UHF reception. 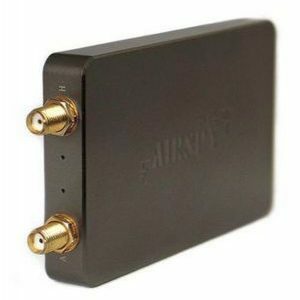 Today we offer the best wide band receivers which address these needs. We also provide a high performance extension for weak-signal wide band reception on HF – something other competing solutions fail to address efficiently. 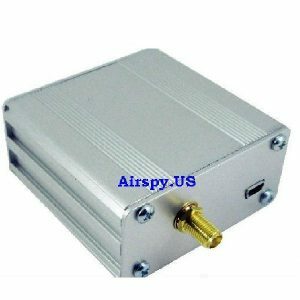 Airspy HF+ is a paradigm shift in high performance HF radio design. It is a joint effort between Airspy, Itead Studio and a top-tier semiconductor company to build a state of the art SDR for HF and VHF bands. Like most high-end HF receivers, the HF+ uses very high dynamic range ADC’s and front-ends. But unlike the current offerings in the market, it also brings more frequency agility by using high performance passive mixers with an excellent polyphase harmonic rejection structure. No external band aid filters are required like the lower end HF receivers, which makes it the ideal companion for light portable high performance operation. Both the architecture and level of integration achieved in this design allow us to bring top performance reception at a very affordable price. Best Noise Reduction on the market! The antenna connectors are Female SMA. The USB connector is a Micro USB. Comes as shown with Airspy HF+ SDR Receiver and USB cable.